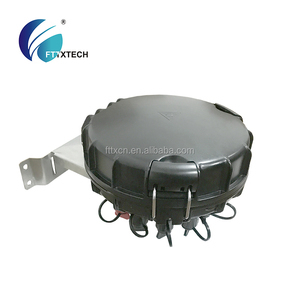 FTTH 12/24/48/96/144 ports fiber optic splice closure,fiber optic splice closure FOSC Features: fiber optic splice closure 1.Water and dust proof 2,M in and N out 3ABS plastic material 4.Color:black Specifications: 1, Two- way cable entries and exists design 2, Can be reopened 3, Can be fixed by metal work 4, Clear optical fiber cable 5. Closure body is made by Super ABS material, and the bolt was made in stainless steel 6 Great corrosion resistance 7. 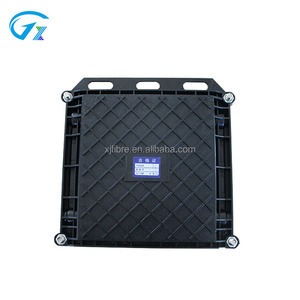 Suitable for any harsh environment Port 1&times;2,1&times;4,1&times;8,1&times;16,1&times;32,1&times;64, 2&times;4,2&times;8,2&times;16,2&times;32 Fiber Type G652D, G657A Package Steel tube; ABS box Input Fiber Type 900&micro;m Loose tube, 2.0mm, 3.0mm, 250&micro;m Ribbon Fiber, Adapter Output Fiber Type 900&micro;m Loose tube, 2.0mm, 3.0mm, 250&micro;m Ribbon Fiber, Adapter Pigtail Length 0.5&ndash;2.0m, Adapter, Others Connector Type FC/UPC, FC/APC, SC/UPC, SC/APC,ST/UPC, LC/UPC, LC/APC, None, Others pictures: Payment and Delievery: Payment : L/C, T/T, Western Union, Moneygram,Paypal as well as Cash acceptable Delievery: Shipment is usually delivered within 1-5 working days after receiving payment. The goods is usually sent by express way(TNT,UPS,FEDEX,DHL,EMS or other special way) or by ship as per customers' exact quantity and requirement. Does not require special tools, easy to install and open the duplicate. The scope of application : aerial, direct-buried, wall-mounting, duct-mounting, The application of temperature :-40&#8451;~65&#8451; Packing & Delivery Carton packaging If you have any query, please click below. Best service and best factory price is wating for you. 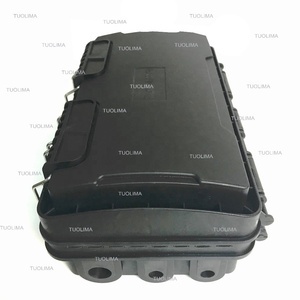 Shanghai Tangpin Technology Co., Ltd.
Dome Series of Splice Closure GJS08-D01 Numbers of entrances Cable Diameter (mm) Maximum numbers of tray (Bunchy) Max Capacity of per tray (Bunchy) Core capacity (Max. The design receives creatively practical patents and keep the box under sustainable seal performance in regular operations. . 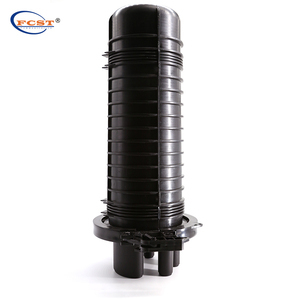 The port of discontinuous cable adopts spinning mechanical seal, and the port of uncut cable adopts direct pressure mechanical seal. .
FTTH /Mini Fiber Optic dome type Splice Closure IJS20 is for ftth closure,also it is mini closure. 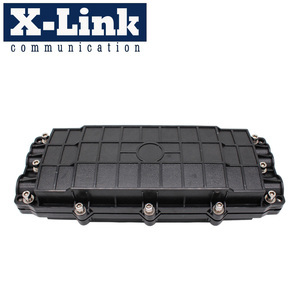 &#61548; It can be 4sc adpter in fiber storge tray. &#61548; It can be mounted with special breaket on the ploe. And our mass production factory locates in Jiangsu province , covers the area more than 50000 square meters, for metal precise production and assembly of cabinets , and optical fiber products . More products 1. Are you manaufacturer 9 Yes, we are Group company with 4 sub factories engaged in Telecom area. 6. How does your factory do the quality control9 Quality is priority ,we always attach the importance to quality control from the beginning to the end of the production . 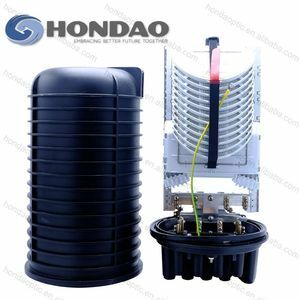 Shenzhen Hongdashi Technology Co., Ltd.
IP67 12 To 72 Core Waterproof Horizontal Fiber Optic Splice Closure IP67 12 To 72 Core Waterproof Horizontal Fiber Optic Splice Closure is made of excellent engineering plastics.Ingellen. 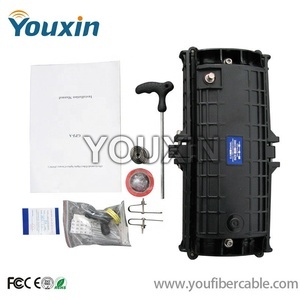 The main application for vertical fiber optic splice closure is in CATV, telecommunications and fiber optic networks. 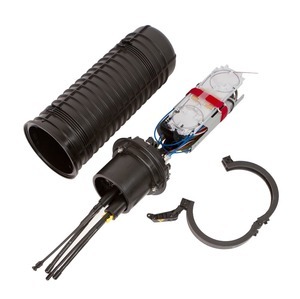 They are suitable for protecting optical fiber splices in straight through and branching applications, and can be used in aerial, duct and direct buried fiber optic cable projects . Does not require special tools, easy to install and open the duplicate. 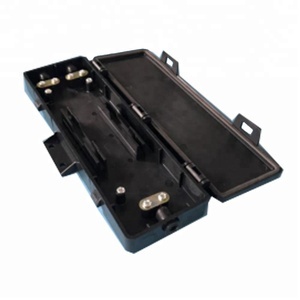 The connection box can be opened without special tools, and can be opened repeatedly. Connect the buried and overhead optical fiber cable lines. 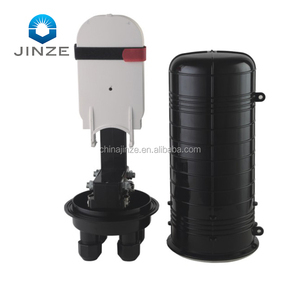 The scope of application is: aerial, underground, pipeline, hand-holes. We usually quote within 12 hours after we confirm the technical data of your products. 2.Adopt strict process and raw materials control to guarantee the life span of 30 years. 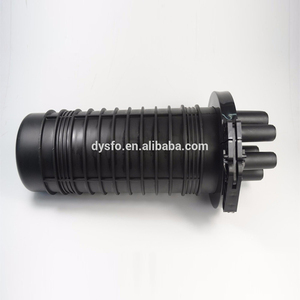 Alibaba.com offers 4,132 fiber optical splice closure ftth products. About 98% of these are fiber optic equipment. A wide variety of fiber optical splice closure ftth options are available to you, such as 2, 4, and ≥ 10. You can also choose from free samples, paid samples. 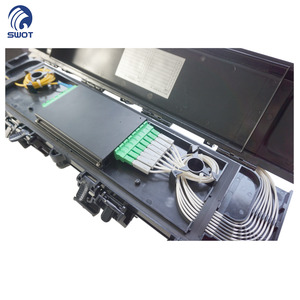 There are 4,140 fiber optical splice closure ftth suppliers, mainly located in Asia. The top supplying countries are China (Mainland), Poland, and Armenia, which supply 99%, 1%, and 1% of fiber optical splice closure ftth respectively. 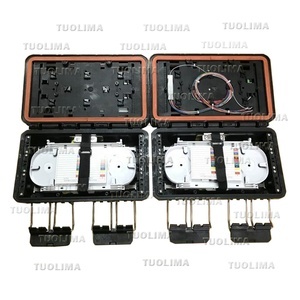 Fiber optical splice closure ftth products are most popular in South America, Eastern Europe, and Western Europe. You can ensure product safety by selecting from certified suppliers, including 1,335 with ISO9001, 241 with ISO14001, and 221 with OHSAS18001 certification.